TJ Electrical Contractors in Croydon were instructed to design and install a high bay lighting system and a three phase electrical supply for a forklift charger, plus fire alarm to a new build industrial unit in Croydon. 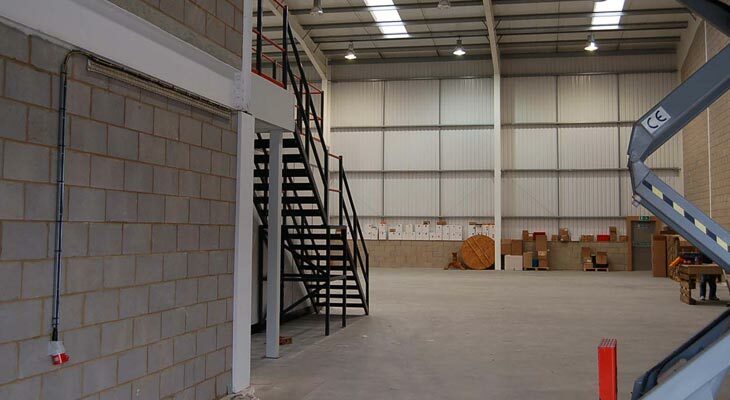 TJ Electrical Contractors in Croydon were instructed to design and install a high bay lighting system together with a three phase electrical supply for a forklift charger and a fire alarm in a new build industrial unit in Croydon. 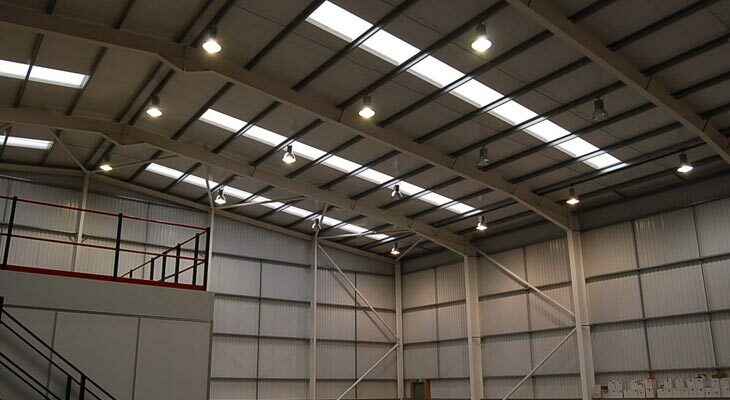 All in all the industrial electrics in Croydon took one month from start to finish and included four of our high bay lighting specialists and commercial electricians. 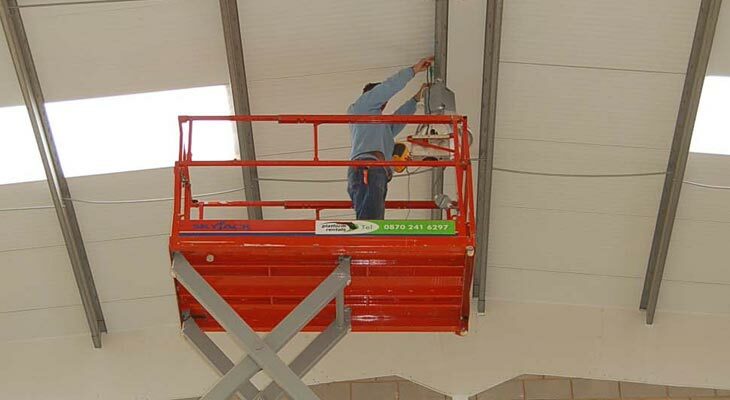 If you require an electrical contractor, high bay lighting installer or fire alarm installer in Croydon then please do not hesitate to contact TJ Electrical. 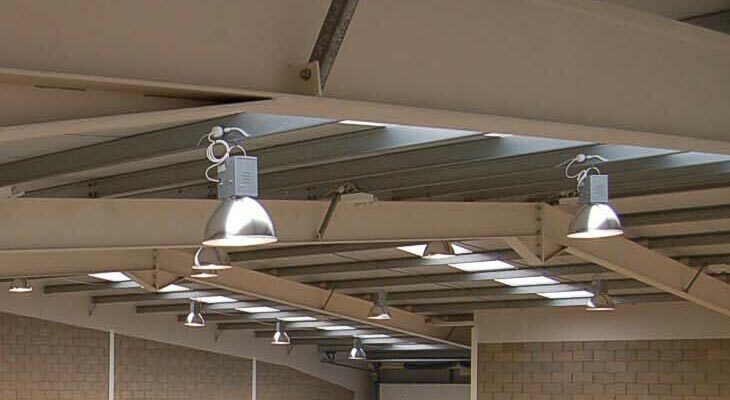 The powerful high bay lighting needed to supply adequate light for working on the factory floor and mezzanine floor of the pharmaceuticals warehouse. 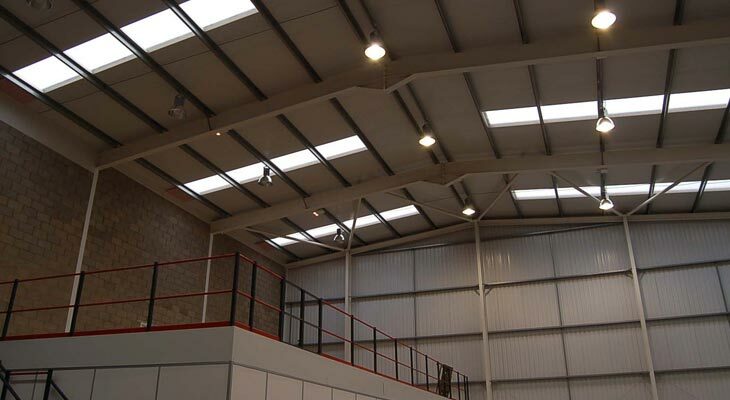 As high bay lighting specialists in Croydon we designed and installed 27 high bay lights and 13 twin spot emergency lights. We configured the design of the high bay lights so that there were no dark spaces in the building, and installed them prior to the racking going in. Alongside the high bay lighting you can see skylights installed within the roof to help let the natural daylight through. A close-up picture of the high bay lighting, showing the power block that sits behind the reflector. The electrical wiring to power the lights was clipped and run within the metal cross members know as metal perlins. Special perlin clips were used to perfectly hide the wiring. 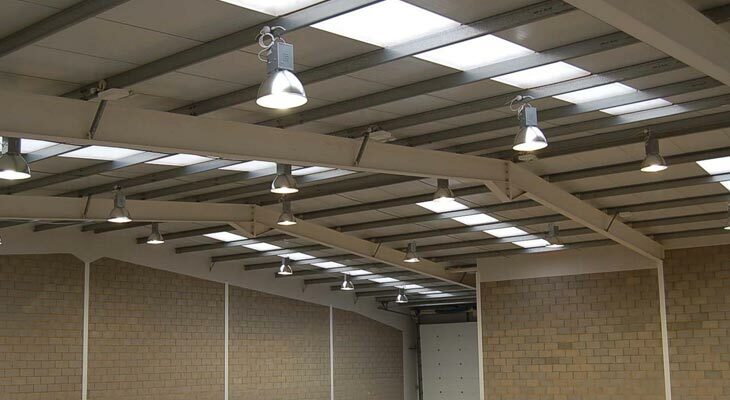 Our design of the high bay lighting in Croydon included measuring the height and dimensions of the ceiling and creating something that would light the entire warehouse. Please get in touch if you require help with your commercial electrics or high bay lighting in Croydon. One of our commercial electricians using a scissor lift to install one of the 13 twin spot emergency lights. In event of a power cut the twin spot emergency lights kick in to provide a suitable line of light to the emergency exits. Their batteries last up to three hours and they shine like flood lights. The customer required a three phase power supply to power the forklift charger, so our industrial electricians installed a low level commando plug in the position where the forklift would be parked overnight. 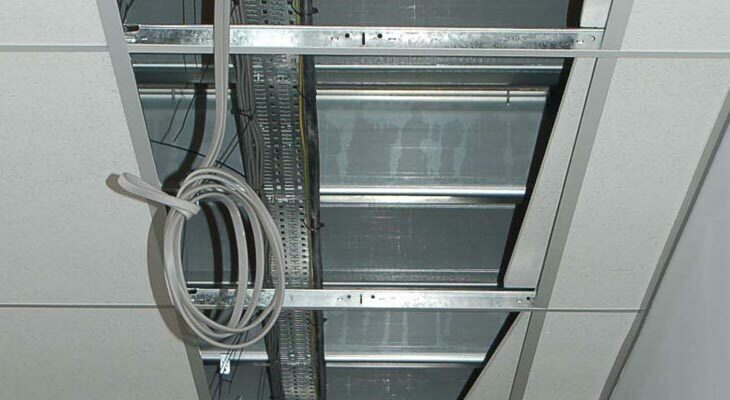 Cable trays and steel wired armoured was used for the installation. We also designed and installed fluorescent lighting into false ceilings within the smaller low level racking rooms and office areas, and ran all electrical wiring (which electricians call twin and earth) along cable trays up out of view inside the false ceilings.